1. 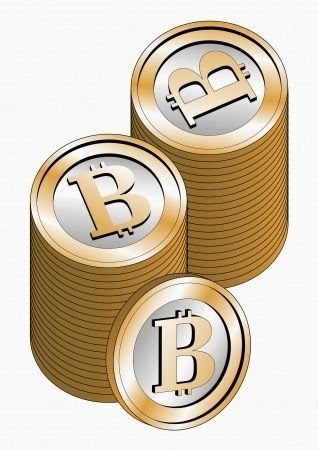 Purely electronic currency – Bitcoins are created and traded on the internet. There is no hard currency possible, since, strictly speaking, the highly fluctuating value of the Bitcoin makes such hard currency unfeasible. 2. Lack of Central control – No central institution controls the Bitcoins. Rather, they are “controlled” by every user who has a copy of the block chain. (Explained below). 3. Partially anonymous – Trading is between wallets, which are electronic repositories of Bitcoins. They have encrypted IDs which do not reveal the personal ID of the user. However, if the personal ID of one person is known, it is possible to identify the IDs of all who buy or sell Bitcoins to him/her. This is how the Silk Road was busted. 4. Limited in quantity – Perhaps unique to Bitcoin is the fact that only 21 million Bitcoins can ever be created. This makes it a limited currency, and hence one whose price will continually rise. 5. Bitcoins can be destroyed, but it’s difficult – Unlike normal currency, which can simply be destroyed if the central institution refuses to support it, or in small quantities, by physical destruction, Bitcoins cannot be destroyed by either method. They can be destroyed through complex means, which involve sending, incorrect reference IDs and addresses, but the complexity makes it a challenging task. Now that we know what Bitcoins are, we need to know how they can be obtained. Technically, anyone can obtain a Bitcoin by mining it. Mining is a process by which special computers solve millions of algorithms to keep the system running, and are paid in newly minted Bitcoins. Practically, the price of each Bitcoin mining machinery is prohibitive, not only in terms of cost, but also electricity consumed. Further, there are so many miners around and so few Bitcoins produced that the chance of an individual getting a Bitcoin is extremely low. Miners blend in “pools” in which each “worker” pools his resources with others and everyone is given a portion of whatever the pool gets. 1. One first needs to set up a wallet. A wallet, as mentioned above, is a virtual device which has a unique ID and an encryption key with which it signs each transaction. 2. Once the wallet is set up, one needs to go to the required exchange, and sign up. Most exchanges require ID evidence these days as an added safety feature, and, therefore, the anonymity Bitcoins originally gave is no longer valid. 4. One can place a request for Bitcoins at the existing rate (measured in terms of dollars, pounds and other leading currencies). If trading at the existing rate, the trade is carried out within ten minutes due to the process of verification. 5. Verification is an automated process by which the transaction is sought to be entered into a block chain, which is just a huge log book of all Bitcoin transactions till date. If the transaction is acceptable (based on the wallet balances of the seller and buyer), then it is accepted as a new block. The exchange informs the user that the transaction is completed. 6. If one is not selling at the current rate, one will have to wait for the price to rise or fall to that level, or for someone to sell at that rate (not likely). 7. If one wishes to sell the bitcoins, the process is exactly reversed. However, removing money from the exchange depends on the means accepted by the exchange and one needs to be aware of this before putting one's money in exchange. · Bitcoin transactions are not quite anonymous – As mentioned above, it is not fully anonymous, even when you are not using an exchange. As such, it is best not to carry out transactions that you would prefer not to display in your credit card or bank records. · Transactions are irreversible – There is no concept of escrow, in which a third party holds the funds till such time as both parties agree on release. There is no central institution, so any third party contracted cannot be trusted with the funds. Though exchanges themselves sometimes perform the task, this is still rare. Hence, once you set a transaction in motion, and it appears valid, there is no going back. · No central control – Bitcoins are dependent upon the proper functioning of the block chain as it exists on a huge number of miner computers across the world. No single machine, or even 100 machines, can change the nature of the block chain, so there is no question of any central control. Logically then, the exchanges where Bitcoin trade takes place are equally, not under any central control. At most, they are under the control of the country which hosts its servers, but they can be jurisdictions as different as USA, Japan and China. Hence, if anything goes wrong and you want to seek remedy, there is technically no one to turn to. · Extreme fluctuations in rate – Part and parcel of this highly decentralized control system is the massive fluctuation in rates that occurs. Whereas forex markets fluctuate due to dips in investor confidence, and decisions by key governments/economic bodies and international events, one cannot predict when the cost of bitcoins will rise or fall. Though (as noted above) the rate of bitcoins usually keeps rising, it is equally true that following the Silk Road crisis, Bitcoins witnessed their sharpest drop in history, thereby wiping out the profits of many a Bitcoin trader. ◦ Never disclose personal ID – Personal ID has to be revealed to the exchange if it so demands, but you must not give away your ID to anyone else. This not only increases your anonymity, but also ensures that fraudulent entities do not gain access to your wallet or wreck havoc with your exchange account. ◦ Keep a copy of the block chain – Though this is overkill for the irregular Bitcoin trader, if you're planning on regular trading, it would be wise to keep a copy of the block chain (around 6-7GB currently but growing fast) in a storage media which has a large number of write cycles available since the information will be deleted and entered hundreds of times every day. This will allow you to validate transactions locally, and ensure faster processing. ▪ Mt Gox – Mt Gox, located in Tokyo, is the oldest of the Bitcoin exchanges currently in operation, and also the most popular. However, it has been criticized for the difficulty faced by users seeking to withdraw dollars from the exchange. The US government suspended its operations for a few days but has reallowed it. Though the best place to find a large number of Bitcoin traders, the risks involved causing all prices to have a premium attached to them. ▪ BTC – BTC or BT China is currently the largest exchange by volume but is restricted to China. However, a number of agents operate from China who accept your money and trade for you. One has to be careful when relying on these agents, but there are agencies with solid reputations and low fees. Once you get a reliable agent who offers a payment method acceptable to you, you can enjoy the relative stability of the exchange as compared to the rest. ▪ Coinbase- It is based in the USA, so it requires far greater verification than the above two. However, you only need a bank account to use it, and the best part is, you can buy portions of bitcoins as little as 1%. ▪ BitStamp.Net – BitStamp allows you to login from anywhere in the world and has a simple interface. It is perhaps one of the fastest exchanges available for Bitcoin trading, though speeds may vary depending on where you are. ▪ Cryptsy – Cryptsy is not for those seeking a quick trade, but it is one of the few exchanges which offers Escrow protection (as mentioned above). Further, it allows you to trade between dollars, bitcoins and other more obscure currencies if you're planning on diversifying your portfolio. Though the above guide may seem a bit complex, the basics are easy enough to know, and trading is easy (even addictive) once you get the hang of it. Further, major online service providers like WordPress, 4Chan, Reddit and others are now accepting bitcoins just like normal currency, so it makes sense to test one's hand at Bitcoin trading before prices shoot up further. Keeping the above points in mind, Bitcoin trading can be not only an fascinating and unique experience, but it can become a significant source of profit.